A devotional with a twist! 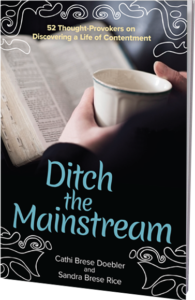 This book of thought provokers and creative discovery doesn’t tell you what to believe, but instead moves you toward personal and deeper thought about today’s world and your faith. It’s you and God! Doebler and Rice prompt you with modern cultural themes, allowing you to respond and journal on your own. Small moments, big decisions, constant messages and technology battle for our attention – often taking our hearts and minds off the Lord. Will we allow this, or will we Ditch the Mainstream and the power it wants to have over believers today? 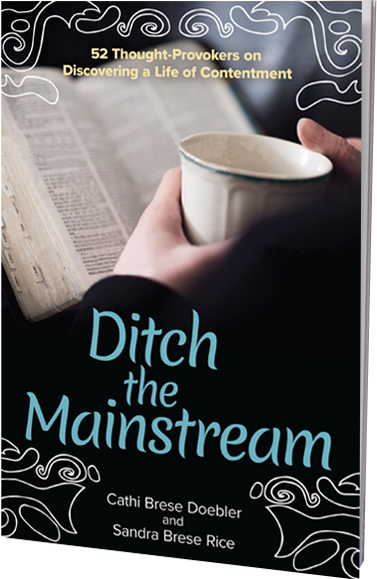 In this book, the authors challenge you to use God’s Word to find God’s ways, in a messy world. 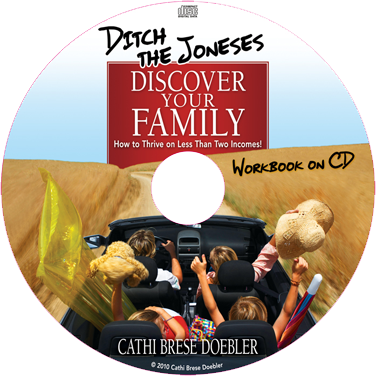 We’ve all felt the pressure to “keep up with the Joneses”. Often it seems like it takes two incomes to survive in today’s economy. But what if that is not true for your family? 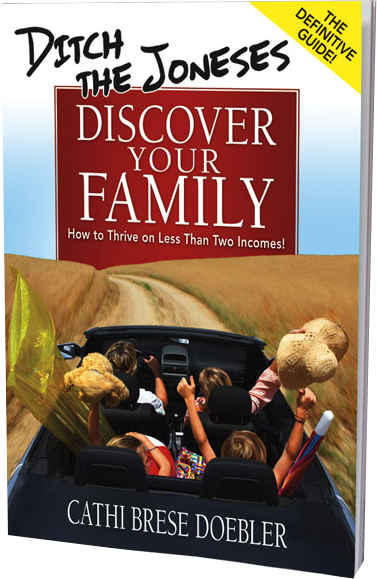 What if your family can thrive on less than two full-time salaries and flourish by spending more time together? Tackling these tough questions using faith-based views and values, this book gives parents encouraging and realistic ideas for a healthy and solid family. 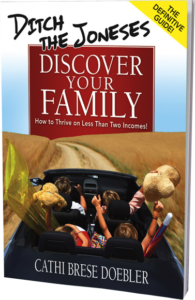 In this book, Brese Doebler challenges the two income assumption, and takes you on a journey toward the joy of discovering your family. A personal coaching session with Cathi Brese Doebler. 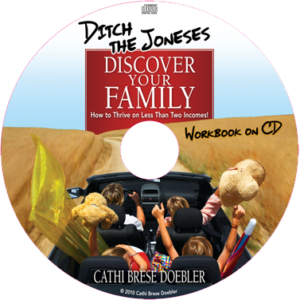 Through integrity and faith-based principles, Cathi brings practical know-how and enthusiasm for flourishing families to this workbook and personal coaching audio session.